The light strip is one of the best modifications you can add to your machine. Our light strips come pre-wired for 12vdc. You will need to attach the light strip then run the wires into the backbox and splice into 12vdc power. 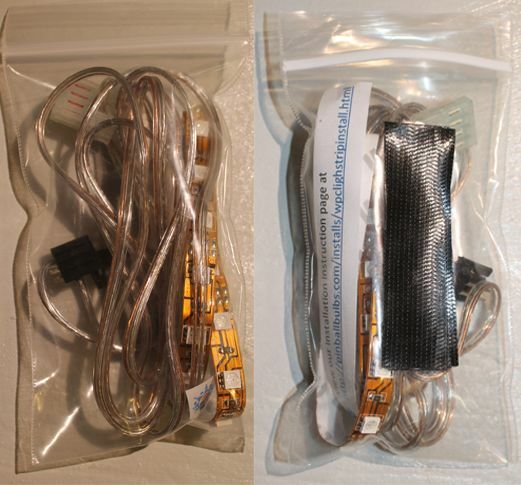 The WPC light strip kits come pre-wired ready to plug into the power driver board and daisy chain the existing connector.